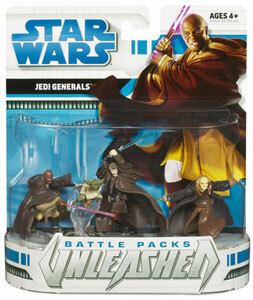 Description Of Item: Jedi Generals lead clone troopers into battle against the vast droid armies. Yoda and Mace Windu are both wise leaders who seek to resolve the conflict peacefully, but are adept with their lightsabers when called to battle. Saesee Tiin and Anakin Skywalker are courageous warriors who capably command their troops during the Clone Wars.